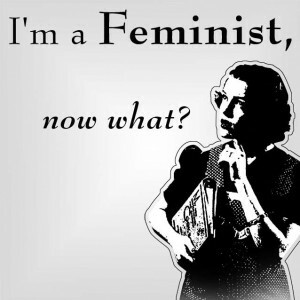 If there’s one thing our generation is not known for, it’s our ardent enthusiasm for feminism. In fact, claiming that you’re a feminist is more like a kiss of social death than the badge of honour it once was. The general opinion seems to be that feminism is outdated, unnecessary, and largely irrelevant in this utopia of gender equality that we supposedly live in. Girls recoil from the label, mock the stereotype of ‘hairy-legged feminists’, and swan through their university degrees and full-time employment without much thought of how important it is that they can even occupy the roles of student or worker. My own feminism has always been ardent. From a relatively young age, I was spouting feminist slogans and reading Kate Millet in my spare time. At no point have I ever questioned the need for feminism, or the relevance of the movement. I’ve often wondered why it is that I jumped to feminism so quickly, when most of my peers were either ignoring it, or rejecting it (and continue to do so today). Why did I relate to feminist thought in a society where in the most obvious ways, gender equality appeared to exist? I think my heritage certainly had a huge part to play in my feminist awakening. It’s no secret that developing nations like India (and yes, I do consider it to be developing), lag significantly behind first world countries like Australia when it comes to gender equality, on a myriad of levels. But the discrepancy between genders is more insidious than just a lack of equal opportunities or pay. Even in my own family, there was a gap between the genders that may have seemed insignificant, but that seriously affected me while I was growing up. My own parents were fairly good in terms of treating their children equally. With three girls and one boy, they had a fair bit to deal with, and we were all equally encouraged in terms of our educations, career aspirations, hobbies and pursuits. But when it came to cultural norms and behaviours, there was a significant gap. This was mostly visible when we were with our extended family, when the tasks assigned to each gender became more obviously divided. For a start, women always spent the majority of their time in the kitchen, cooking and preparing the food. Men, in the meantime, either went out (golf was a big one with my family), sat around, or did outdoorsy things. When a meal was ready, the women would lay it out and the men would always eat first. Not until every man had served themselves would the women be able to get their own food, which consisted of whatever was left on the table – granted, with the sheer amount that my relatives cook, there was never any real shortage, but the hierarchy still existed and women were definitely a step below men in most regards. I remember being a kid and going to religious gatherings at a relative’s house where the men and women would be segregated. Nine times out of ten, the men would be in the spacious lounge room while the women and children would be crammed into the kitchen or dining area, half of them cooking while the rest tried to take care of their kids. As a child, this never actually bothered me. It was fun being with all of my female relatives, and the more time you spent in the kitchen, the more likely you were to steal bits of food hot from the stove. But as I got older, and it started falling to me to help cook and clean, it started grating on my nerves a bit. For a start, I could often hear my uncles and father talking about interesting topics like politics or the news, and I would never be able to join in (it would have been the height of audacity to try and put my two cents in with my elders, especially male ones). Added to that was the sheer exhaustion of cooking, eating briefly and then immediately diving into cleaning, without much time to breathe. I don’t know if this is the same situation in other Indian families or households, but growing up I became more and more angry at the injustice of it all, to the point where I could barely get through a single family gathering without having to grit my teeth against the feminist rant building inside me. And I’m also one of the lucky ones – my parents really do want their girls to do the best for themselves, and have accepted my differences far better than the average Indian family would. For a lot of the Indian girls I know, education was just something that was necessary to help them find a good husband, and in India and Fiji, if a family has tight finances, it’s always the girls who are pulled out of school first. I think a lot of this is changing these days, slowly but surely. My female cousins are all successful in their own rights, and I’m proud of them for all of their achievements. I know that my own parents accept that things are changing, and these days when I help with cooking and serving, it’s because I want to. But I guess the reason why I became a feminist at such a young age was because, unlike my Australian peers, I didn’t take equality for granted. It was something I watched evolve, and that I still don’t think has been in any real way achieved within my culture. It’s easy to write feminism off as a cause from the past, something that remains as a historical movement only. But in my experience, the cause for gender equality is constantly changing and growing, in our own culture and in others. *I’d also just like to say that this article is not meant as a judgement against my family, or Indian traditions. I understand that, as with most forms of gender inequality, the actions are not necessarily perceived or intended in a prejudiced way – the nature of gender inequality is so insidious and normalised that the harm is rarely recognised until it has already occurred. I can relate with every single word of this article.Because I come from a middle-middle/upper-middle class family, most people I talk to about feminism dismiss me, accusing me of not knowing what the hell I’m talking about. I don’t have to stay at home while my brother goes to school, get married at 13 and all that. But although the gender discrimination may not be that obvious or extreme,it’s not non-existent and by taking these differences as inevitable or natural, I’ll be doing myself,and the feminist cause, a great disservice. This entry was posted in Culture, Featured and tagged feminism, india, multiculturalism, sexism. Bookmark the permalink.